I prefer Magento, an open-source content management system to develop customized e-commerce-sites of your choice. It is one of the most popular e-commerce platforms for creative eCommerce developers like me as in April 2014, Magneto’s market share among the 20 most popular eCommerce platforms is about 34%. I use Magento for e-Commerce development because it provides highly developed combination of MySQL relational database management system, PHP programming language, and elements of the ZendFramework. So, it is useful for object-oriented programming and model-view-controller architecture to develop your eCommerce site on your way. It also helps me for the entity–attribute–value model to store data for the site content. 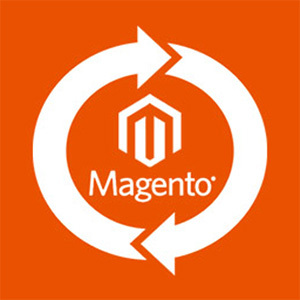 As I don’t prefer any compromise with technical equipment, I use Magento for its ultra-modern e-Commerce designing utilities as a next-gen development of os-Commerce. I use Magento Community Edition to provide a basic eCommerce platform from usually smaller e-business. It is preferable for its core-system modifying facility, implementation and extension functionality by adding new plug-in modules to support accurate customization. But in case of larger e-Commerce sites, I use Magento Enterprise Edition for more features and functionality and required technical support with installation, usage, configuration, and troubleshooting. There is also another version, I use sometimes for smaller business or for late dynamic sites is Magento Go which is included with web hosting by Magento itself but with limited customization facilities. Magento even supports a Web template system which generates multiple similar-looking pages and customizes them. I like to use Magento themes are designed for customizing all pages and it allows me adding or editing the PHP, HTML and CSS. Even it helps me to customize theme display or functionality for you by installing or altering them without any loss of content or layout of pages via FTP or SSH. I also prefer Modules or Magento plug-ins that extends its basic built-in functionality as I can easily install modules or apply a module's Extension Key through Magento Connect Manager. Now, if you really want to experience the magical touch of my team in your e-Commerce site with Magento, just have a talk with me.